Captive Aquatic Ecosystems, LLC. was founded in 2002 by Ben Johnson. With over 10 years of professional aquarium experience in sales, installation and maintenance of aquariums of all sizes -- including two years as a zookeeper at the Houston Zoo Kipp Aquarium, where he was put in charge of the facility's 4,000-gallon saltwater reef aquarium -- Ben began his own aquarium service company in a small, 2-bedroom apartment. Seven years later, Captive Aquatic Ecosystems, LLC. has grown many times over and is recognized as one of the highest-quality aquarium maintenance companies in the Houston metro area. Captive Aquatic Ecosystems, LLC. is based North of Houston, Texas in The Woodlands. We regularly maintain aquariums in Kingwood, Spring, Conroe, Houston, Tomball, Magnolia, Sugarland, Clearlake, Splendora and many other areas around the metro area. At Captive Aquatic Ecosystems, LLC. we take the design and maintenance of custom aquariums to a higher level. Our mission is to provide our customers with state-of-the-art equipment, technical support, and service on their freshwater aquarium or saltwater aquarium. 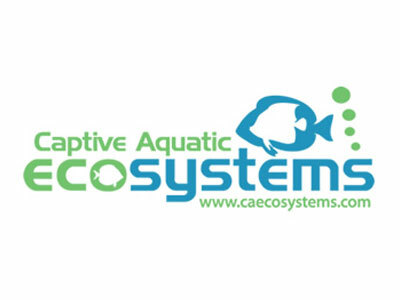 Whether you are looking for a freshwater aquarium, saltwater aquarium or have an existing aquarium that needs regular maintenance, you can trust Captive Aquatic Ecosystems, LLC. to do it right the first time. Let us bring life into your home or office by creating a living picture -- your window into a beautiful underwater world! Recommendations For Captive Aquatic Ecosystems, LLC.